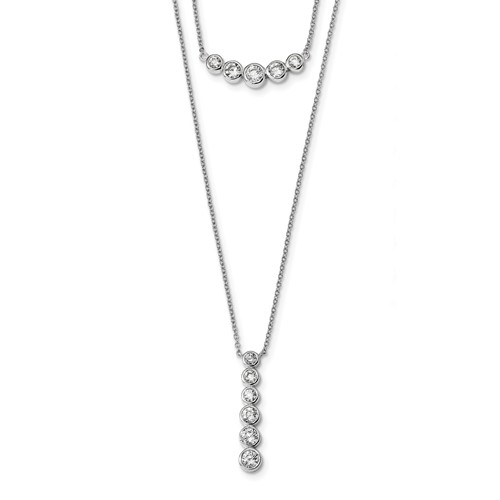 Diamond Essence Two Strand Necklace, 5.0 Cts. Round Brilliant Stones set in bezel setting of Platinum Plated Sterling Silver. Diamond Essence Two Strand Necklace, 5.0 Cts. Round Brilliant Stones set in bezel setting of Platinum Plated Sterling Silver, 16" length.